(Reuters) - Broadcom Ltd (Nasdaq:AVGO - News) cut the number of board seats it was trying to win at Qualcomm Inc (:QCOM.O) to six from 11 on Tuesday, saying this would let Qualcomm shareholders push the U.S. chip maker toward a sale while ensuring continuity. The move came following Singapore-based Broadcom's meeting with proxy advisory firm ISS on Monday and concern from some Qualcomm shareholders that replacing the company's entire 11-member board could create uncertainty during the time it would take to complete a combination of the two companies. The move on board seats comes a day ahead of planned talks between the semiconductor companies to discuss Broadcom's $121 billion cash-and-stock acquisition offer, which will be their first such discussion. Broadcom said the change would let Qualcomm stockholders direct a simple majority of the board to negotiate a deal while also ensuring that the remaining five directors who are familiar with the company continue to oversee it. Broadcom's six nominees are Samih Elhage, David Golden, Veronica Hagen, Julie Hill, John Kispert and Harry You. The company said it would withdraw its offer if it was not accepted by Qualcomm's executives or unless its six nominees were elected at Qualcomm's shareholder meeting scheduled for March 6. The takeover battle is at the heart of a race to consolidate the wireless technology equipment sector, as smartphone makers such as Apple Inc (:AAPL.O) and Samsung Electronics Co Ltd (KSE:005930.KS - News) use their market dominance to negotiate down chip prices. Broadcom is mainly a manufacturer whose connectivity chips are used in products ranging from mobile phones to servers. San Diego-based Qualcomm primarily licenses its technology for the delivery of broadband and data, a business that would significantly benefit from the rollout of 5G wireless technology. The difference in their business models has led to Qualcomm raising concerns that its licensing agreements with customers could be upended should a deal with Broadcom be announced. It has warned that regulators could take more than 18 months to approve the deal, and may never do so. 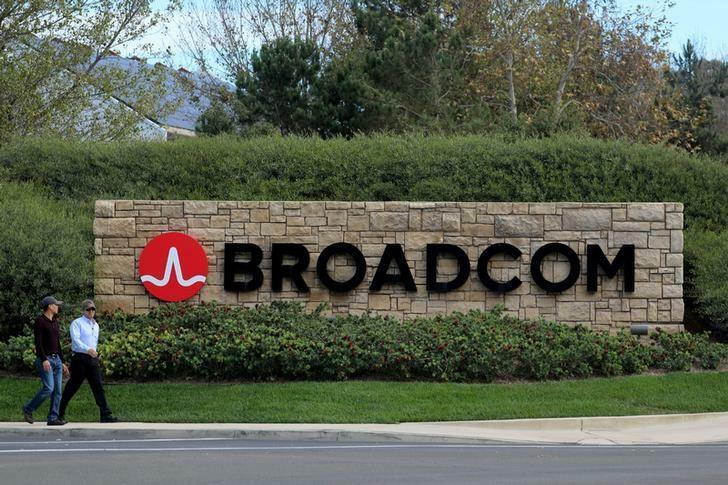 Broadcom has countered it believes it can complete the deal in 12 months. Qualcomm has been a supplier of components to Apple for years, but the relationship soured last year when Apple accused Qualcomm of overcharging for chips and refused to pay some $1 billion in promised rebates. Apple and Qualcomm are now locked in a bitter legal dispute. Broadcom raised its cash-and-stock offer last week to $82 per share from $70, and made other concessions. They include offering to pay Qualcomm an $8 billion breakup fee should antitrust regulators block the deal. Qualcomm rejected the revised offer, as it did the first bid, saying the proposal undervalued the company and fell well short of commitments on regulatory issues.